How do I sell tickets using Stripe? 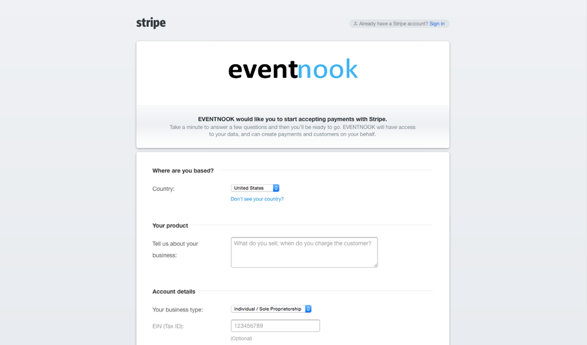 EventNook platform has seamless integration with Stripe to provide an easy way to accept online payment (with major credit & debit cards - Visa, Master and Amex) and sell tickets online for event organizers. 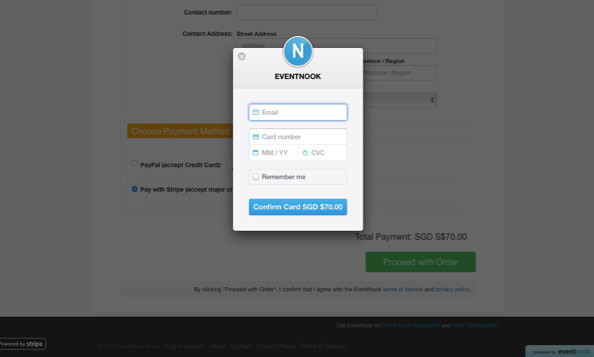 With EventNook and Stripe, ticket buyers can pay with major Credit/Debit cards (Visa, Master and Amex) and the proceeds are deposited straight into the organiser's account. When you create an event, you can choose to Connect with Stripe option under Currency & Payment section. You will be directed to sign up for your Stripe account, or if you already have a Stripe account, to connect to it. You can sign up with Stripe here. Stripe has its business in 123 countries, and offers 139 different currencies. Here is a screenshot of how easily you can begin to sell tickets with Stripe. 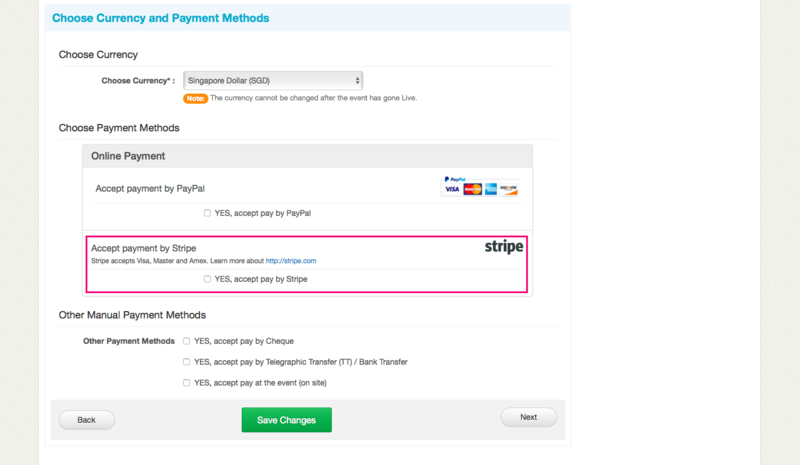 Note: For transactions from Singapore, Stripe charges a low, flat rate of 3.4% + SGD$0.50 per transaction in Singapore (Overseas charges differ).